The EUR/USD continues testing local maximums, the correction that took place yesterday and today wasn’t very deep. At the moment the price is forming an ascending pattern at the H1 chart of the pair, one can consider buying Euro with the tight stop. The closest target of the growth is the area of 1.3445. If the pair falls lower than 1.3310, this case scenario will be cancelled. The area of 1.3285is a strong support level. Pound started falling down by breaking the level of 1.5940, just as we expected. The targets of the reversal pattern have almost been reached. 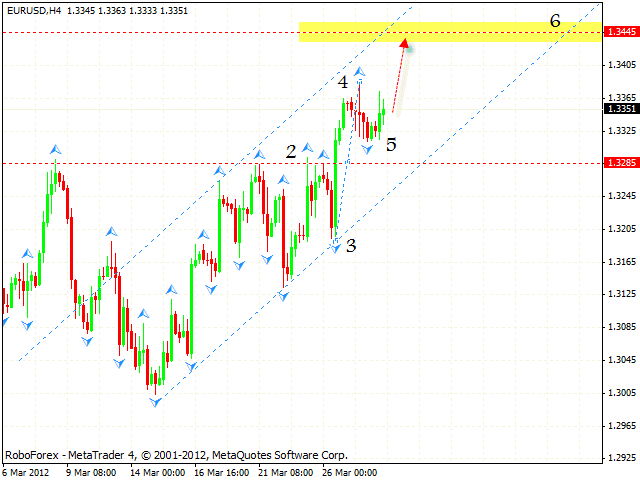 At the H1 chart the price is forming an ascending pattern with the target in the area of 1.6030. One can try to buy Pound with the tight stop. 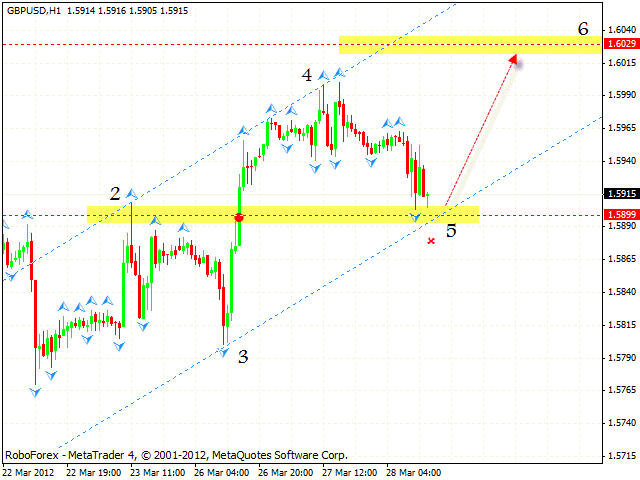 If the price breaks the ascending channel’s lower border in the area of 1.5870, this case scenario will be cancelled. Franc continues falling down, the price is testing local minimums. 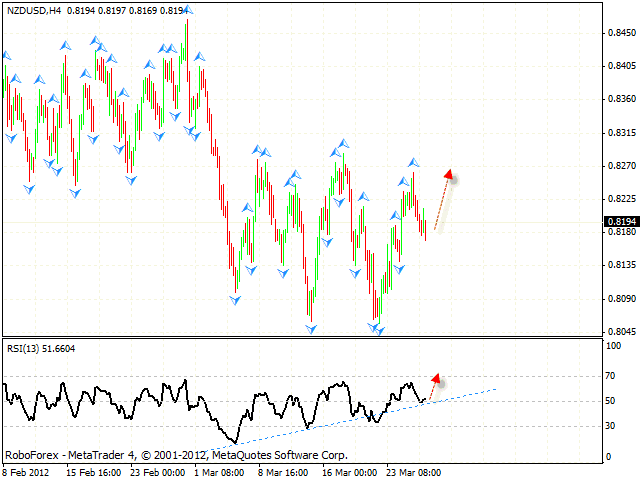 At the M30 chart we can see the formation of a descending pattern, one can consider selling the pair with the tight stop. 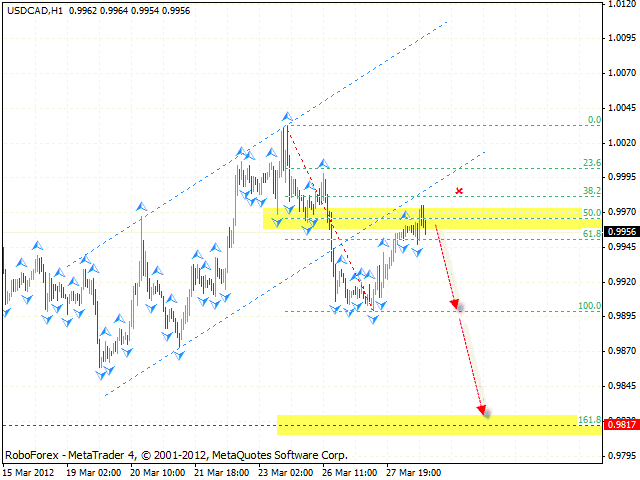 The target of the fall is the area of 0.8980. If the price breaks the level of 0.9065, this case scenario will be cancelled. We recommend you to increase the amount of sales only after the price breaks the level of 0.9015. New Zealand Dollar also fell down from the earlier defined levels. The RSI indicator was supported by the trend’s ascending line, we should expect the pair to rebound from the current levels. One can try to buy the pair with the tight stop near the level of 0.8180. In case of Canadian Dollar the correction is taking place and the price is testing the ascending channel’s broken border. One can consider selling the pair with the tight stop. 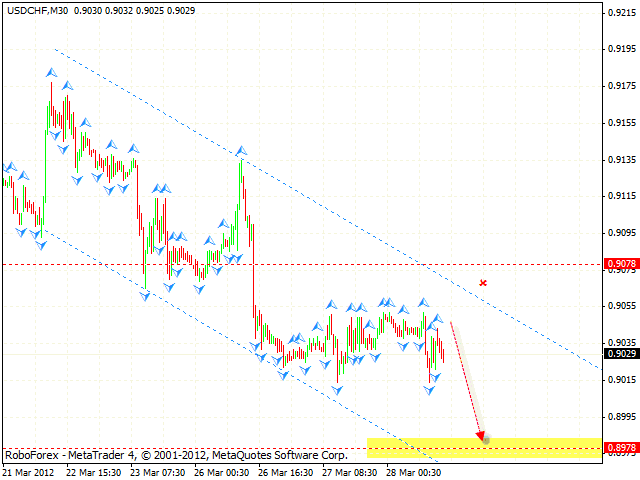 We recommend you to open short positions after the price breaks the level of 0.9945. If the pair grows higher than 0.9985, this case scenario will be cancelled.